Caves of Qud Arrives At GOG and Itch.io! All Versions Get Massive Update! Storied Roguelike ‘Caves of Qud’ Arrives on GOG and Itch.io! All Versions Get Village Updates! Freehold Games has announced the release of storied roguelike game Caves of Qud on GOG and Itch.io. The title combines traditional roguelike features with an expansive open-world experience. The Caves of Qud already has more than 1,000 positive reviews on Steam. 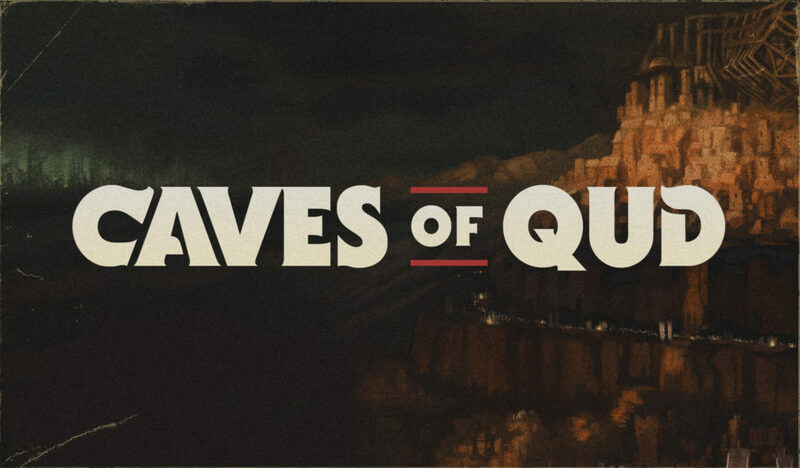 The roguelike open-world experience is described as being “rooted on the chrome steeples and rusted archways of ’70s science fiction.” Along with being released on GOG and Itch.io, Caves of Qud is getting a massive update, too. The Generated Villages & Alternate Starts patch, which adds fully procedurally-generated villages, fully procedurally-generated quests, and – maybe most exciting – new alternatives to the starting location of Joppa. Each village features its own faction, history, architecture, art, relationship with local resources, proverb, signature dish, signature skill, and NPCs. There has never been a better time to dive into the verdant world of Qud. Assembling your character from over 70 mutations and defects, 24 castes and kits, and dozens of cybernetic implants; outfit yourself with wings, two heads, quills, four arms, flaming hands, or the power to clone yourself: It’s all the character diversity you could want. Exploring procedurally-generated regions with some familiar locations; each world is nearly one million maps large. Digging through everything: Don’t like the wall blocking your way? Dig through it with a pickaxe, eat through it with your corrosive gas mutation – or melt it to lava. Yes, every wall has a melting point. Hacking the limbs off monsters: Every monster and NPC is as fully simulated as the player. That means they have levels, skills, equipment, faction allegiances, and body parts. So if you have a mutation that lets you, say, psionically dominate a spider, you can traipse through the world as a spider – laying webs and eating things. Pursuing allegiances with over 60 factions – apes, crabs, robots, and highly entropic beings (just to name a few). Following the plot to Barathrum the Old – a sentient cave bear who leads a sect of tinkers intent on restoring technological splendor to Qud. Learning the lore: There’s a story in every nook – from legendary items with storied pasts to in-game history books written by plant historians; a novel’s worth of handwritten lore is knit into a procedurally-generated history that’s different every game. Caves of Qud is currently available on Itch.io for $9.99 and on GOG for a sale price of $8.99 (10% off). The game is also available on Steam Early Access (Windows, Mac, and Linux) for $9.99. Furthermore, a Freehold Roguelike Bundle which includes Caves of Qud, Sproggiwood, and the Sproggiwood OST is up for purchase for $26.97 (10% off all products) as a Steam exclusive. Have you tried the new expansion? Feel free to share your thoughts with us. Previous:ABC’s Full SDCC 2018 Booth Schedule Offers Up Meet and Greets, Exclusives, and More! Next: Zombieland 2 Is Finally Confirmed! Original Cast Is Returning!